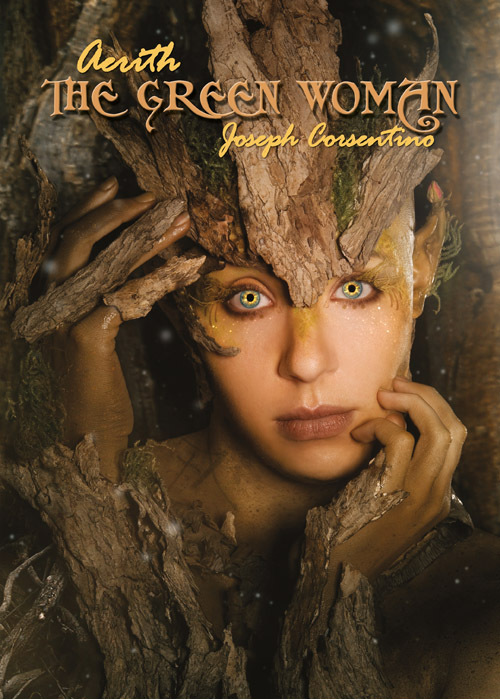 Plus EXCLUSIVE ‘Green Woman’ faery art by Joseph Corsentino with article by Donny Corsentino, and a faery art feature on Peter Pracownik. 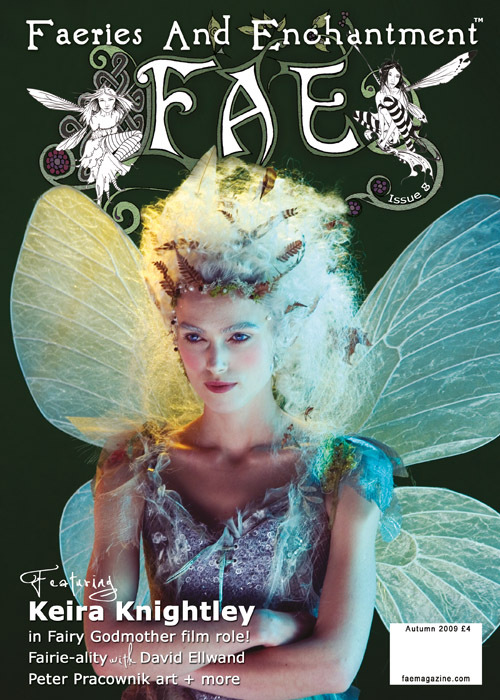 We take an EXCLUSIVE look at some of the faerie designs in David Ellwand’s soon to be published book, Fairie-ality Style! 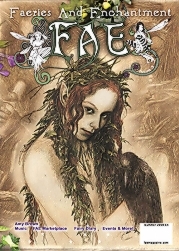 Plus EXCLUSIVE new ODD FAE from Dawn Schiller, and The 3 Wishes Faery Fest EXCLUSIVE photo diary by T.P.F. 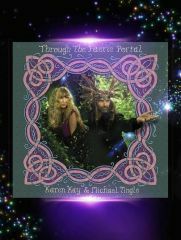 Images & Arts with review by Psychic TV’s Laura Daligan. 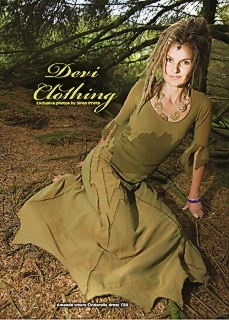 FASHION EXCLUSIVES featuring Fairy Love and Devi Clothing. 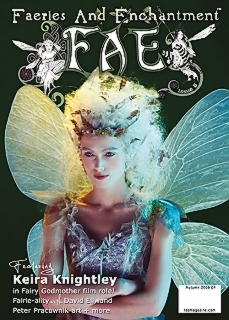 Faery Godmother Meditation by Flavia-Kate Peters, Felicity Fyr le Fay shares her views on the faery world, and FAE Magazine’s beautiful Assistant Editor Bryony Whistlecraft takes us back into the Ancient Isles and also into an enchanted wonderland! 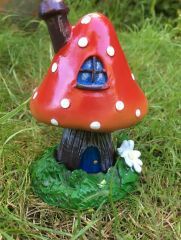 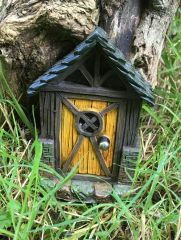 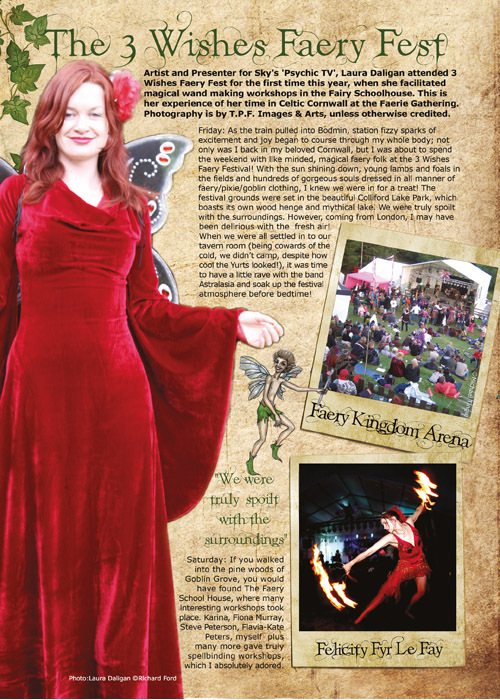 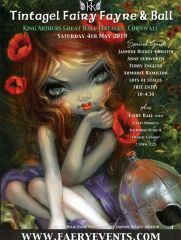 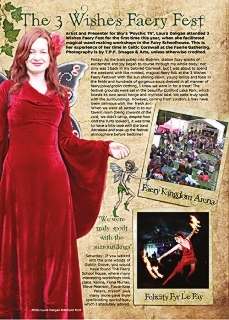 plus FAE Marketplace, our jam-packed Fairy Diary listing all the “must see” faerie events in the UK, rest of Europe and beyond! 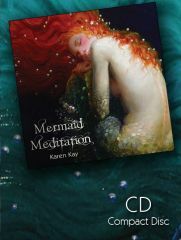 + much more! 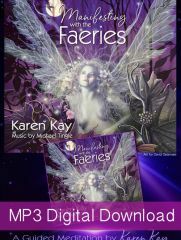 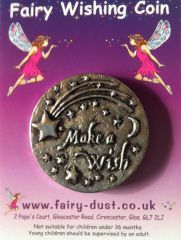 So, with more exclusives than you can shake a faery stick at! 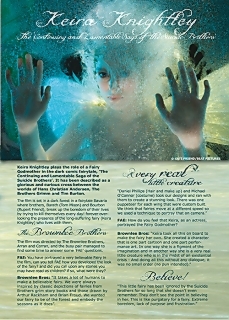 There is even more to be revealed!!! 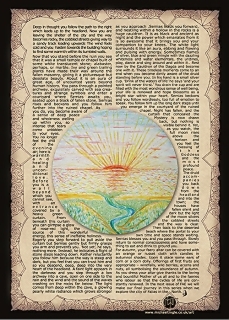 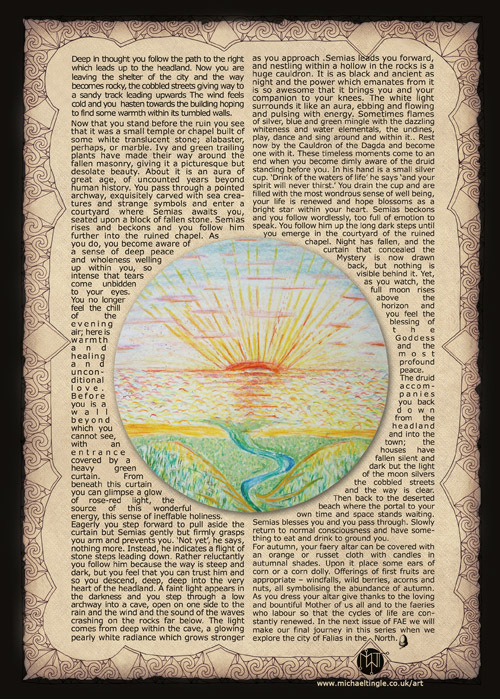 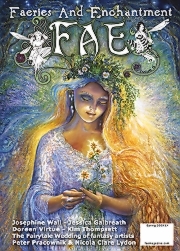 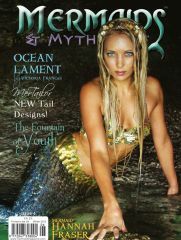 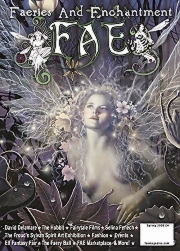 once you peek inside the pages of the Summer issue of FAE – Faeries and Enchantment Magazine. 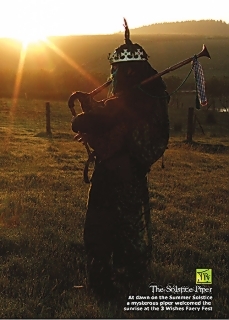 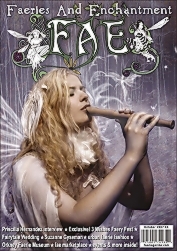 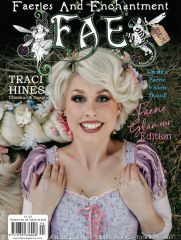 FAE Magazine is produced, published and printed entirely in the UK and is FSC accredited, which means we only use paper from sustainable and traceable resources because, like the faeries, FAE cares about the environment deeply. 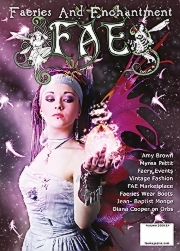 Karen Kay is the Editor in Chief of FAE Magazine.